After visiting Manarola and Vernazza, my third and last day in Cinque Terre, Italy was in the beautiful Riomaggiore village, situated in a small valley in the Liguria region and the first village one meets when travelling north from La Spezia. The village, dating from the early thirteenth century, is known for its historic character and its wine, produced by the town’s vineyards. 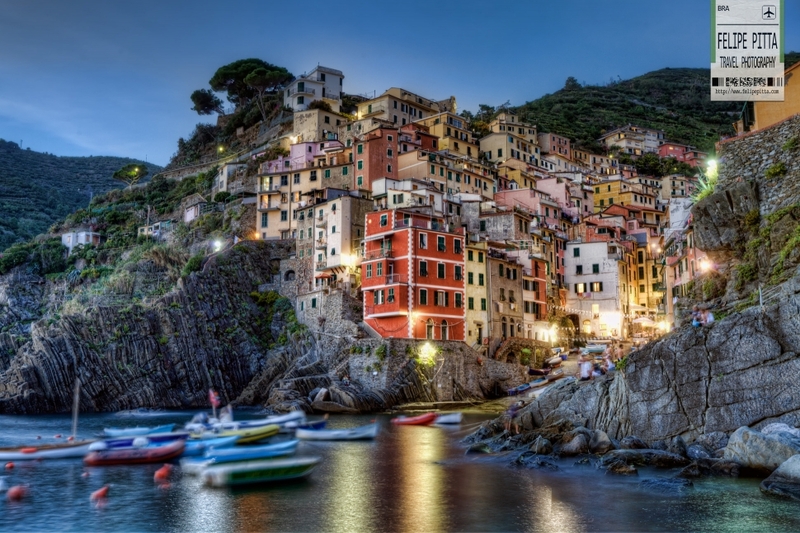 The village has shoreline on the Mediterranean’s Gulf of Genoa, with a small beach and a wharf framed by the typical houses that have one or two-floor towers in order to use at best the place at disposal. 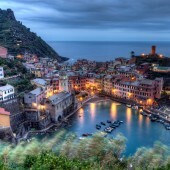 Riomaggiore’s main street is Via Colombo, where numerous restaurants, bars and shops can be found.